You have hit on one of my secret loves, multi-stranded crochet (for when you want it right NOW). This is so simple and I think that is what makes it so lovely. I think I'll make one too, but I have to go convert it into Aussie first. Don't worry though, it only takes a minute. OK. Translation done. I am almost halfway done with the crochet now. I wanted to show you all an in progress pic before I retire for the evening, but photobucket will not cooperate right now. But the good thing is, I'll probably be done by the time it is up again. Thanks for the pattern. OK done, so I won't bother with an in progress pic. Here is mine. I didn't work the decreases in row 11, mine didn't seem to need it. But I had to work 2 extra rows at the end of the main part as I fell short on length. I think I used a thinner yarn than Red Hart is. It was Sean Sheep Classic BTW (and a 5.5mm hook), 100% wool from my desk drawer stash. My yarn choice seems to have messed with my bill shape quite considerably. It turned out to be a frill rather than a bill at first LOL. So I reworked it so that I only increased every second stitch in row 2 of the bill, instread of every stitch. Actually, I had to make so many changes that I have to wonder if my 'translation' was correct. But it doesn't matter because it only took me about 2 hours total anyway. My bill is a little bumpy from the increases, so I need to block it. Actually I may try to get away with ironing it instead, I don't fancy blocking something this shape or so thick. Also I'd work a wider bill next time, mine is only 20 stitches across. It is fine but I think it would look better just a tad bigger. I am seriously considering working another of these triple or quadruple stranded on about an 8mm hook and fulling it. I have a lot of this wool in my stash and it is too itchy for wearables that aren't hats. What do you all think? Thank you for sharing the brim tutorial with us! 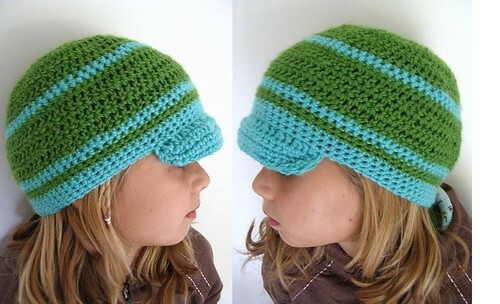 I made a hat for my daughter Sara yesterday, and she wanted a brim added on to it. 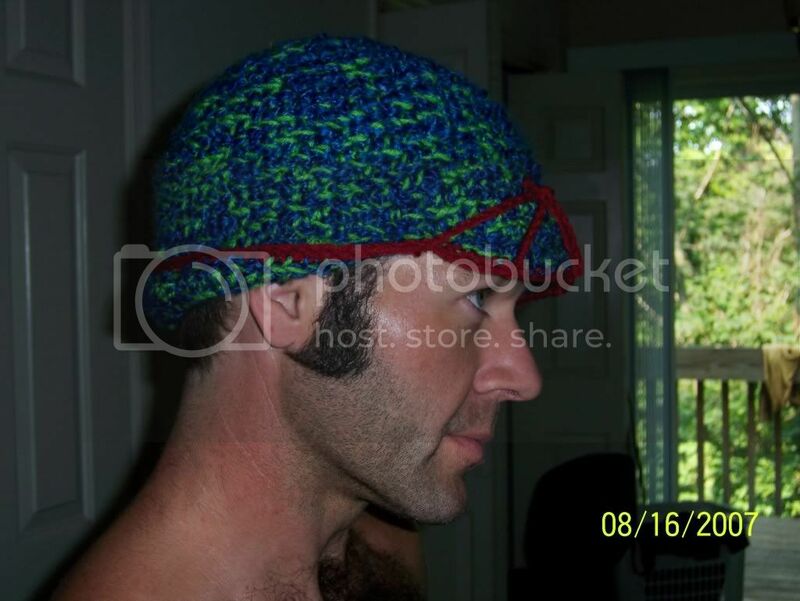 So with a little bit of searching, i found your tut on craftster. Gotta love Craftster!!! :] The brim didn't turn out that well, one of the corner is rolling upwards. I'm fairly new to crochet so I think I just need to practice more. Love your version! Very pretty color combo! mine has a "helmet" look to it, i like it. I absolutely had to try this on my own... what an awesome hat! I'm new to crochet, so the bill came out a bit wonky for me (I have to shape it to get it to look right...) but overall I think I did an alright job. 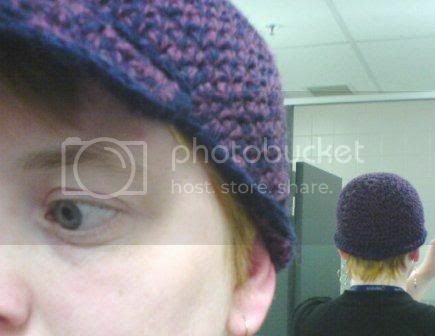 Thanks so much for this tutorial, I'd like to try it again sometime Lovely hats, by the way! 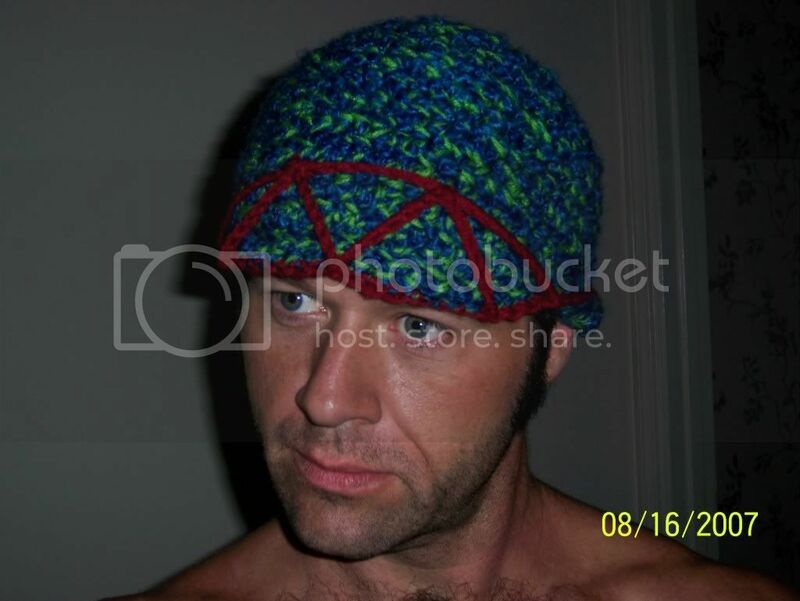 I loved your hat so I made one too. It turned out a little different but still super cute. 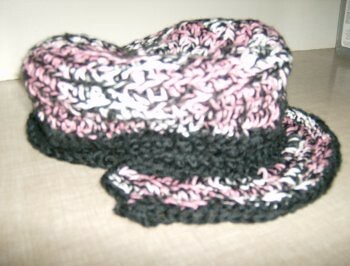 I could not figure out how to post my picture of my hat with everyone elses on your tutorial... I am still kinda new here. 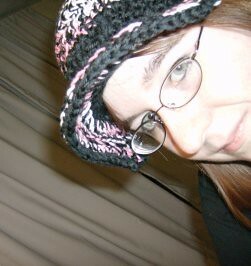 So go check it out under the crochet category.